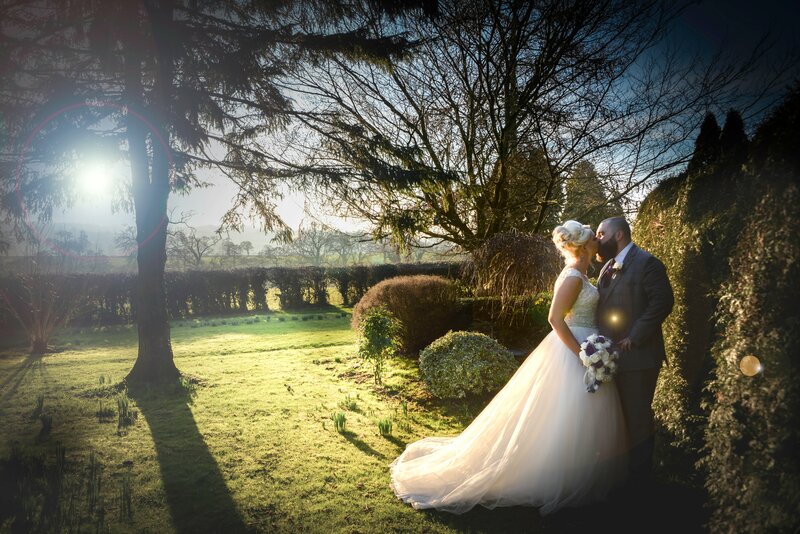 When Amy Williams and Pritesh Patel booked their wedding at Shottle Hall they were desperately hoping for good weather – so they could tie the knot outside. 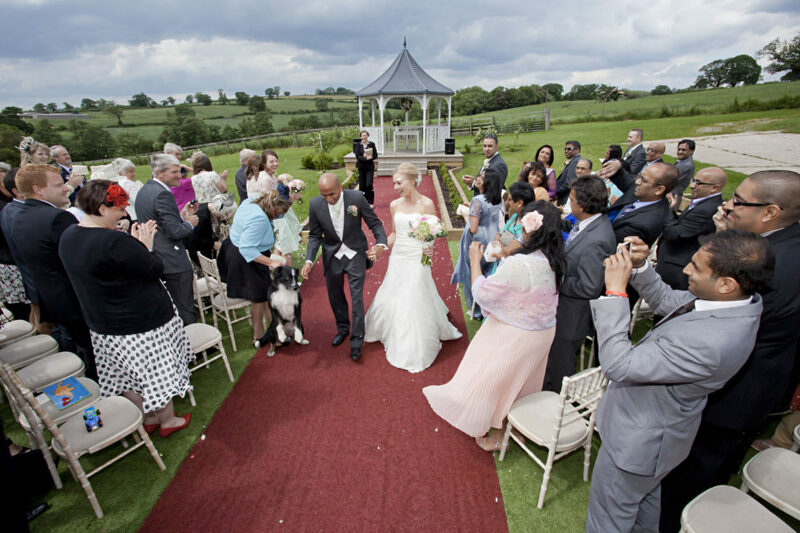 The Mickleover couple chose Shottle Hall because they loved the idea of saying their vows in the great outdoors under our stunning outside pavilion. As their big day approached the torrential rain every day meant it was looking less and less likely that their dream would come true. But on their big day itself, the weather was glorious and the happy couple were able to start married life bathed in sunshine. 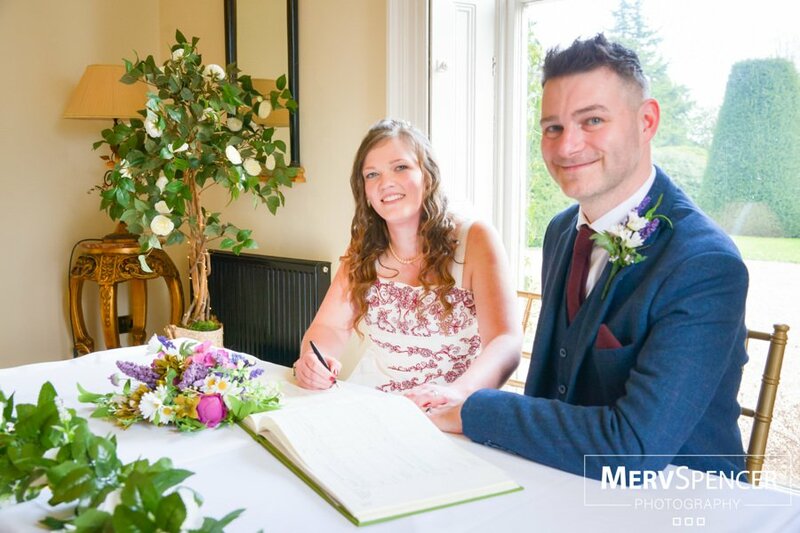 Amy said: “I had decided to tell myself we wouldn’t be able to get married outside because the weather was dreadful in the run-up to the wedding. 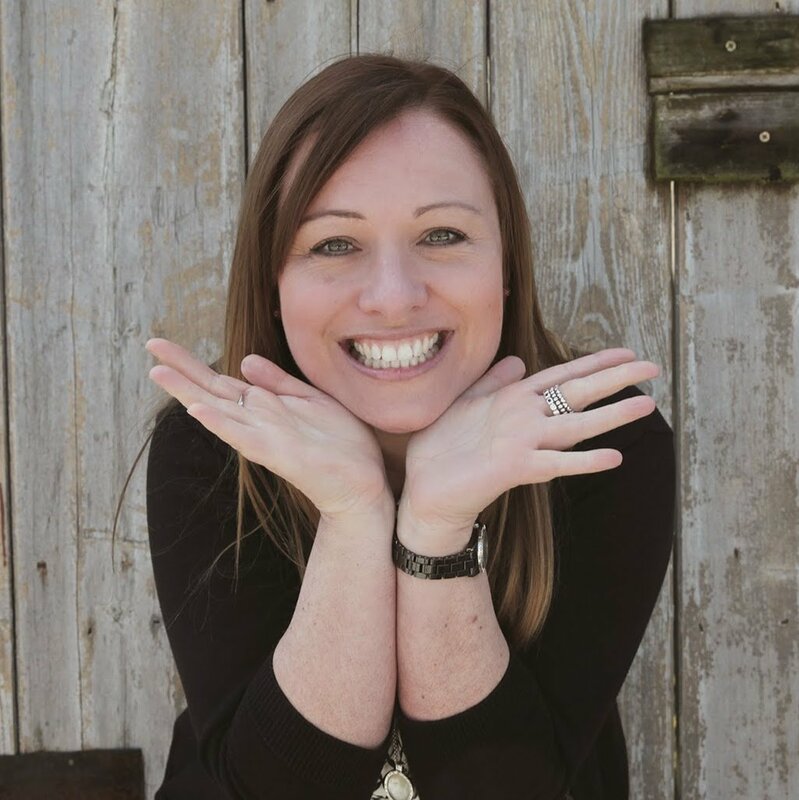 “I still didn’t know until I arrived at Shottle – so there was a real element of surprise! It was perfect in every way and exactly how we dreamt it would be. Proposal: We have a dog, Lucy, and love to go walking her together. On Valentine’s Day 2010, Pritesh took me to Dovedale to take walk Lucy. He’d already asked my dad, and my parents knew he was going to propose – but I didn’t have a clue. Pritesh had bought a dress ring, as he didn’t dare pick the real ring in case I didn’t like it! He went down on one knee and it was very romantic. Shottle Hall: We looked around loads of venues and couldn’t find anywhere that was quite right, but we loved Shottle Hall straight away; as soon as we walked in, we knew. We booked it in November 2010. The big appeal for us was the option to get married outside – this was something which really appealed to us both. We are quite outdoorsy people and saying our vows outside was something we were both really keen on. It was also nice to know that we had a plan B if it was wet and we could use the ceremony room. We also both come from quite large families and so capacity wise the marquee was just perfect. Wedding date: June 14th. We opted to get married on a Thursday as mid-week weddings are a bit cheaper. A lot of my family are from a farming background – and work seven days a week, so would have to have time off work regardless of the day anyway. The weather had been terrible the week before our wedding and I spent each day convincing myself that we would be getting married inside, but we were so lucky, and on the day itself the weather was beautiful. We really did have one of the nicest days of this awful summer. Dress: My dress came from The Wedding House, in Alvaston. It was made by White Rose and I absolutely loved it. I went to three different dress shops, the Wedding House being the second. When I went to the third shop I realised I was comparing every dress to one in the wedding house, and so I decided I wasn’t going to find one I loved more. It was absolutely perfect, I didn’t want to take it off – I’d wear it everyday if I could! Suits: They were hired from Brigdens, in Iron Gate, Derby. Pritesh and the groomsmen all wore tails and they had cravats in a colour which matched the bridesmaid’s dresses. Rings: We bought my engagement ring, which is a platinum solitaire, from the jewellery quarter in Birmingham, so we went back there to get our wedding rings. We both chose matching plain bands, mine platinum and Pritesh’s palladium. Hair and make-up: Emma O'Regan did my hair and make-up and I was really pleased with it – I don’t really wear a lot of make-up and I still wanted to look natural on the day. Everyone commented on how nicely she had done it and she also did some eyelash extensions for me which were just gorgeous and lasted through the honeymoon. Best man: Jaz Bansal was best man - Pritesh’s best friend. They met at college and then went onto work together. He did a great job and when I arrived, the registrar told me that the best man had been brilliant and really helpful. He was so nervous about his speech, but he was fab on the day and did us both proud. Bridesmaids: My maid of honour was Charlotte Murfin who is my best friend. My sister Sophie Williams was also a bridesmaid and our niece Maya Rainford-Patel was a flowergirl. Their dresses were all from Debenhams and were a beautiful green colour – some people called it a sage green, other people said it was mint green. Whatever the description - I just liked it! Flowers: My flowers were just about my favourite thing – I was so, so pleased with them. I had Selena’s Flowers, in Littleover, and I can’t praise them enough – I would recommend them to anyone. Our flowers were better than I ever imagined them to be. I knew what I wanted, but I didn’t know the names of anything, so I just took them loads of photographs I’d ripped out of magazines. I had roses, peonies, ranunclus and hydrangeas in different shades of dusky / pale pinks and creams and eucalyptus as the foliage. My bouquet was hand-tied and, because I had to have my wedding dress taken up, we used some lace from the bottom of my wedding dress to tie it. Attached to the lace was also a locket with pictures inside of two relatives who have sadly passed away, which was a way of keeping them close to us on our special day. 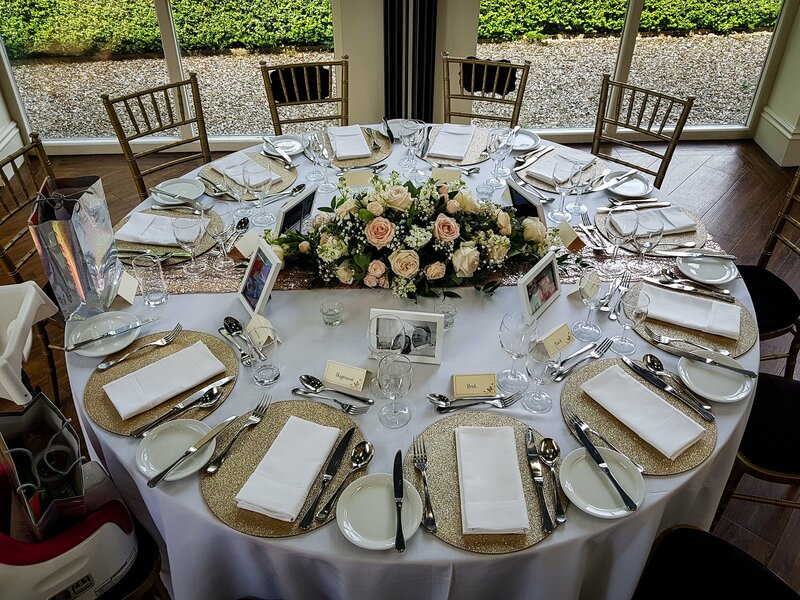 We also had jars, vases and glasses for the top table with smaller hand-tied posies in them, with tall centrepieces on the guest’s tables and petals scattered on them too. My mum is drying my bouquet for me, I hope it works because it was so beautiful. Ceremony: I got ready at my mum’s house and had a vintage Jaguar to take me to Shottle Hall. He picked us up and it was a lovely journey with my dad, having a bit of a heart-to-heart. We pulled into the driveway at Shottle Hall and the car stopped, and wouldn’t start again! Luckily, we were virtually there and I only had to walk down the drive. The photographer was all ready to take pictures and I thought it was so funny – he was expecting to see a car sweep down the drive and he had me hobbling along on the gravel! By the time the ceremony was over the car had started again and so we took some pictures by the car afterwards! The ceremony itself was wonderful. The lady registrar had advised us to try and make it as personal as possible, to make it a bit longer, so we chose two readings. My friend Krystal Williams read a poem called On Your Wedding Day and Pritesh’s Auntie Vandna read Union by Robert Fulgham. As we signed the register my boss, who is also a really good friend, sang Chasing Cars by Snow Patrol. We really wanted to have our dog, Lucy, at our wedding because she is an important part of our lives. I made her a collar and lead out of a big ribbon, with a flower corsage on it. She looked a picture, and it was lovely to have photographs taken with her on our special day. We also had an ice cream trike for our guests after the wedding ceremony from Ice Trikes West Midlands. Apparently they were lovely – but it all went so quickly that I didn’t get round to having one! Reception: We booked Shottle Hall two years in advance and, because I had a lot of time to prepare, I made a lot of the things myself – like the invites, menus, seating plan, colouring books for the children, the table numbers and the favours, which were pots of strawberry jam for the ladies and apple chutney for the men. I made the jam back in March and the chutney was made from apples off our tree at home last September. I also created personalised labels and put fabric lids on them. We had 71 adults and 12 children for the wedding breakfast. Shottle very kindly let us have two menu choices to cater for everyone’s tastes. We decided on an option of spicy parsnip soup or tomato and mozzarella salad for the starter, mains were roast chicken or vegetable tagine and everyone had Eton Mess for pudding, which was delish. We had the speeches before the meal so everyone could relax. Cake: A friend of a friend made my cake – a lady who really only does it as a hobby. It was just beautiful and I was so pleased with it. I found a picture on the internet of a cake I really liked and asked her if she could make it. We had fruit cake on the bottom, sponge cake in the middle and lemon on the top. It tasted as good as it looked! Evening: We had chicken and vegetable curry in the evening, for our 150 guests. We wanted to incorporate the Indian side of the family into our reception as our wedding day was quite English. We had things like Indian sweets and Bhangra music. Paul from Spirits High was our DJ and we chose Chasing Cars for our first dance. Paul came to see us before the wedding and we asked him to get people on the dance floor with us as quickly as possible because we didn’t really want to do a first dance. It wasn’t really our scene dancing in front of all our guests and although the day went really, really quickly – time stood still during this bit of the day!! For our last dance we had ‘you’ll never walk alone’ as Pritesh is a massive Liverpool fan! 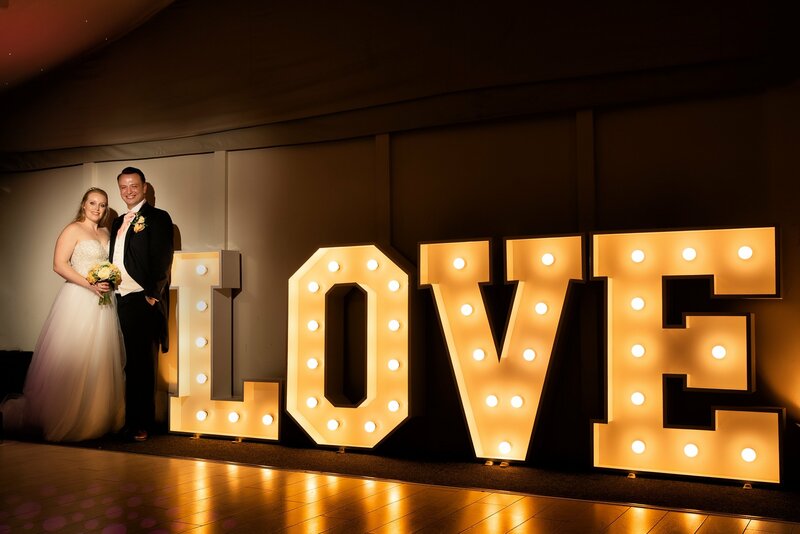 Photographer: We had Dave Nunn Studios as our wedding photographer and both Dave and his wife Emma did an amazing job. I don’t really like posing, but I’d seen his pictures and they didn’t look set-up. He didn’t make me feel like an idiot and Emma was fantastic at explaining to us how to stand and hold ourselves. They are true professionals and made us feel comfortable at all times. We’re so pleased with the pictures – he took more than 400 and it’s amazing that he managed to take so many in such a short time! Honeymoon: We went to Hawaii for 10 nights which was absolutely fantastic. The flight was long, but it was so worth it – I want to go back already!